Estate cars don’t need to be bulky land yachts. If you’re after a station wagon that combines useful luggage space with a more compact footprint and wallet-friendly running costs then there are some excellent choices out there. Below we’ve picked our favourite small-to-medium sized estate cars that can lug loads with the best of them but fit in your garage without difficulty. If you’re considering buying your new car on finance, make sure you visit our finance section for a quote - we work with over 21 lenders to give our customers access to over 100 different lending options. Some on the Parkers team would say the Skoda Fabia Estate is the only true small family estate car, without any true direct rivals. We think it’s pretty difficult to name a better car for a small family than this all-rounder - it’s practical, cheap to run, easy to drive and crammed full of useful features. We’re also very impressed with the way this car drives. It’s not a sporty car, but it’s characterful, fun, refined and feels very well put together. It’s so good, in fact that we’re struggling to think of a reason not to recommend it to anyone who needs a car with a small footprint and acres of space inside. 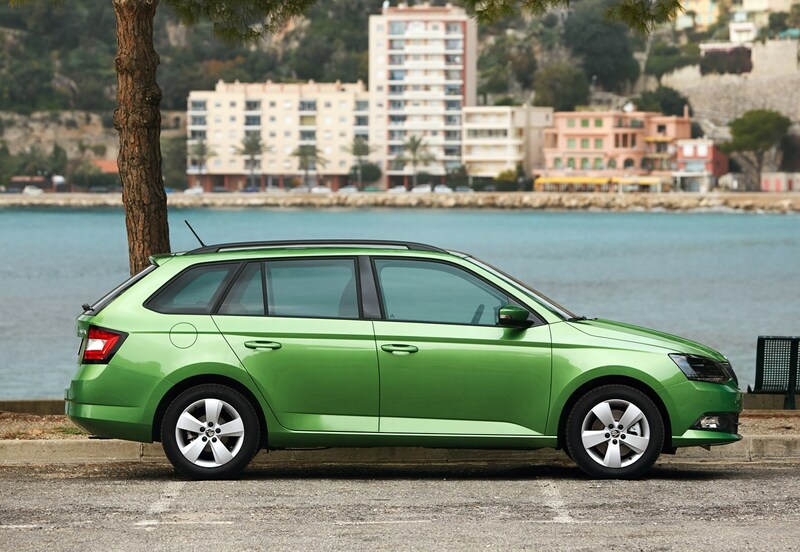 Find out more in our full Skoda Fabia Estate review. One of the closest rivals to the Skoda Fabia Estate, the Ibiza ST is more than just the hatchback with a bigger boot. The rear doors of the ST are longer than the hatch’s, so entry to the rear seats is easier and it makes loading kids into child seats less of a struggle. The boot has been designed with flat sides that make it easy to load with luggage or fit bigger cargo into with ease. A generous tailgate opening also makes it a cinch to fit in larger items without having to jemmy them in, while the low load sill and flat boot floor further aid practicality. 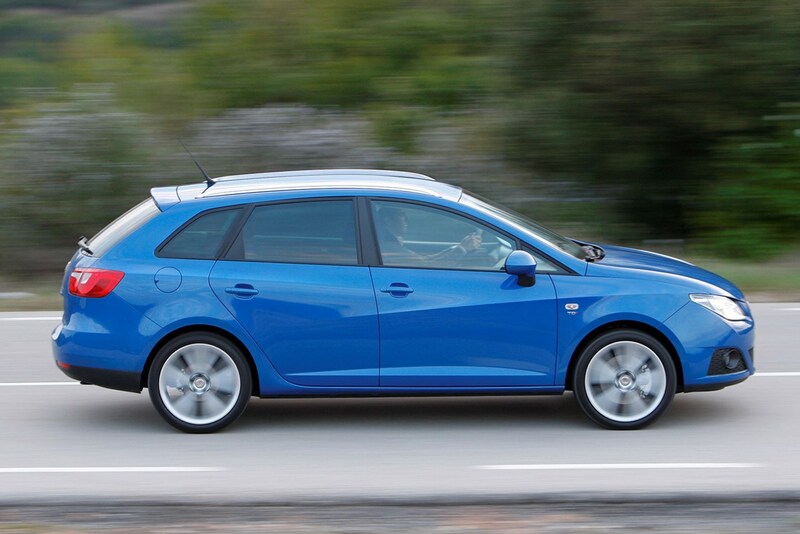 Find out more in our full SEAT Ibiza ST review. Surprisingly easy on the eye for an estate, the Focus isn’t altogether that different to the hatchback - it's got the same trim levels and the same engine range but it is 20cm longer. You get a sizeable boot in the Focus Estate. With the rear seats up you get 490 litres of loadspace with a tyre repair kit and 476 litres with a mini spare wheel. With the seats down and tyre repair kit you'll get 1,516 litres of loadspace but with a mini spare wheel you get 1,502 litres. It sounds impressive but that's smaller than that offered by a Vauxhall Astra, a Kia Cee'd SW and with the seats up, smaller than the VW Golf. This is a really comfortable car, and the ride is excellent. 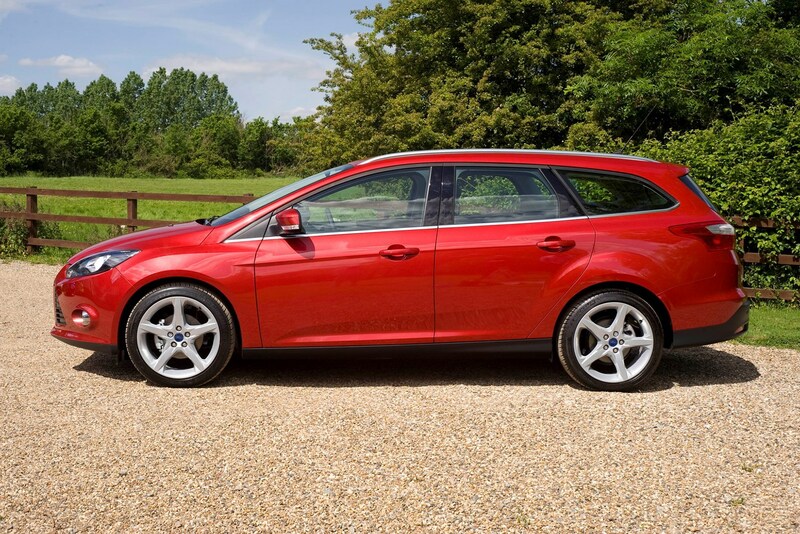 Find out more in our full Ford Focus Estate review. Like the SEAT Leon hatchback, the ST (Sport Tourer) estate version is a class act. It has an excellent range of engines; it’s also available with the smooth and fast-shifting DSG automatic gearbox. Although it’s nearly a foot longer than the hatchback it’s only 45kg heavier and offers an extra 207 litres of boot space. You might also want to consider the Leon's sister car, the Volkswagen Golf Estate. The SEAT brand is owned by the Volkswagen Group and both cars are very similar under the skin. The Golf offers all the best bits of the Leon ST package together with excellent residual values and a respected badge - the only downside is that it's more expensive. 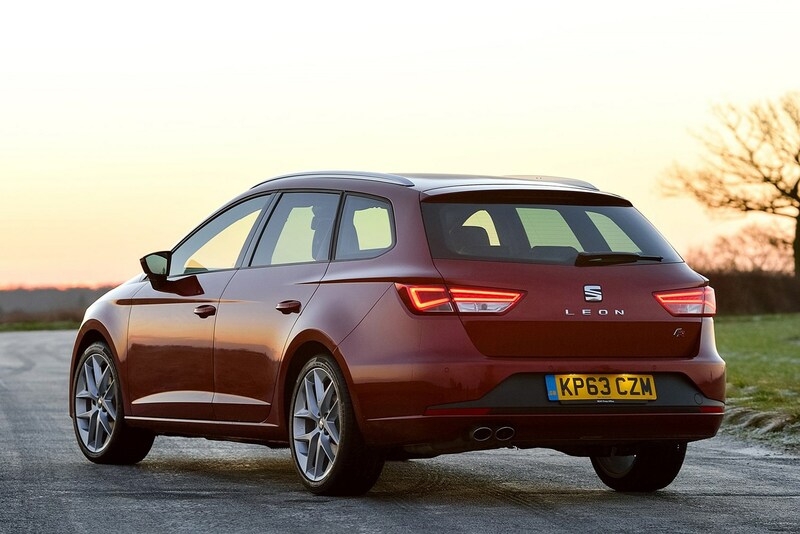 Find out more in our full SEAT Leon ST review. The Honda Civic estate’s boot really is huge, and if you don’t spec a spare wheel then it also features a deep well underneath the floor big enough for two decent-sized suitcases. Another handy feature is that the loading lip is very low and there’s no step between it and the boot floor. Top versions have clever adaptive suspension at the rear that can compensate for heavy loads in the boot for a more comfortable ride. The engine range is a straightforward choice between one petrol and one diesel, the latter with excellent fuel economy and CO2 emissions. Apart from styling that doesn’t appeal to everyone, its main weakness is that it’s a bit on the expensive side to buy new. 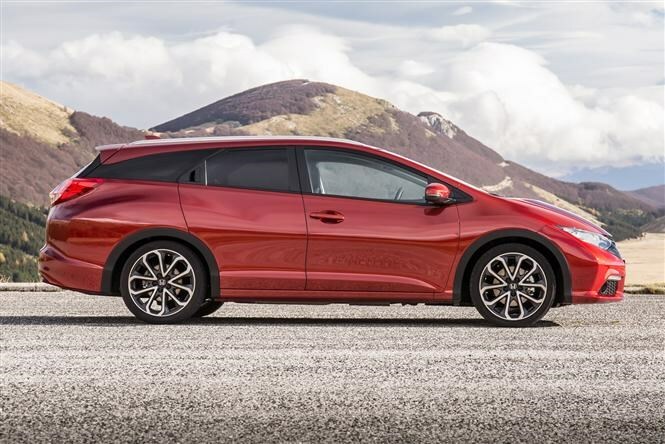 More information here in our full Honda Civic Tourer review. The Sportswagon has practicality well covered – boot space is very generous, the rear seats fold completely flat and a retractable load cover is standard fit. All versions come with roof rails, a 12V socket and underfloor storage sections in the boot plus a space-saver spare wheel. Add to that a pleasant, well put-together interior and Kia’s seven-year warranty and it’s a strong package. Pity it’s so dull to drive. 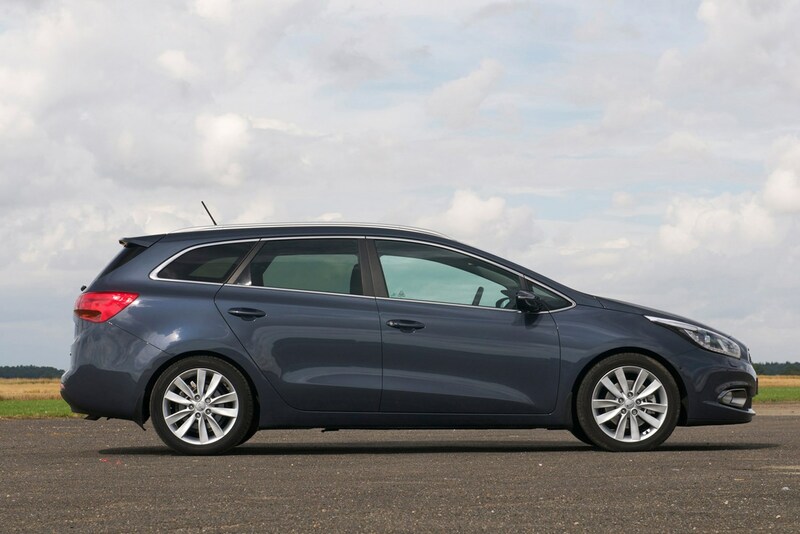 For more information check out our full Kia Ceed Sportswagon review. Despite the name, there’s nothing remotely sporty about the estate version of the Toyota Auris. Its boot is bigger than its character, but it’s well-built, packed with kit and affordable to run. Alongside regular petrol and diesel variants there’s also a petrol-electric hybrid version with planet-friendly CO2 emissions figures. That said, the hybrid’s more expensive to buy than other versions and when we road tested it in Excel trim we found it returned around 50mpg during normal driving rather than the quoted 70mpg. 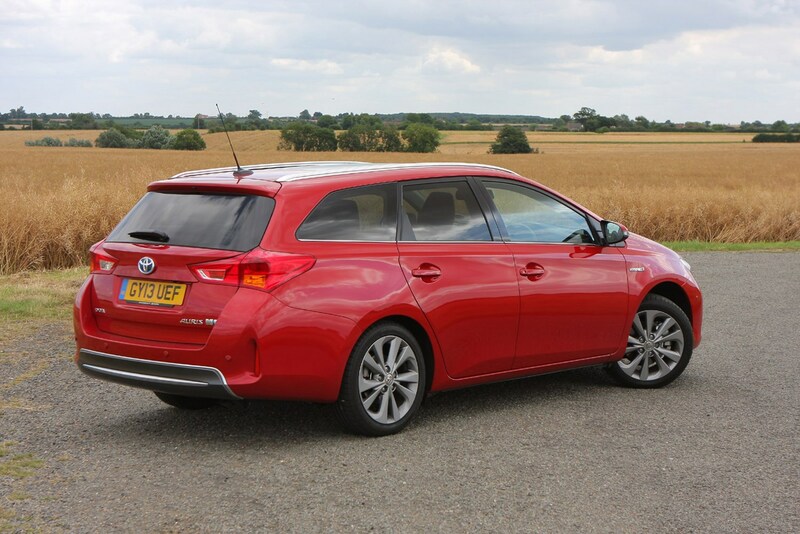 Read all about it in our full Toyota Auris Touring Sports review. Here’s a wild-card budget choice. Prices for the Dacia Logan MCV (which stands for Max Capacity Vehicle) start from an amazing £6,995 at the time of writing, making it the cheapest estate car you can buy in the UK today. Dacia is a budget brand owned by Renault and as such the Logan borrows its engines and various other components from models in the French company’s range. It’s an honest, likeable car that’s spacious and practical but, as you’d expect of a car priced at this level, it’s very basic. Although it’s a lot of car for the money, the question is, would you have a nicer time in a second-hand version of a more well-equipped car for the same price? 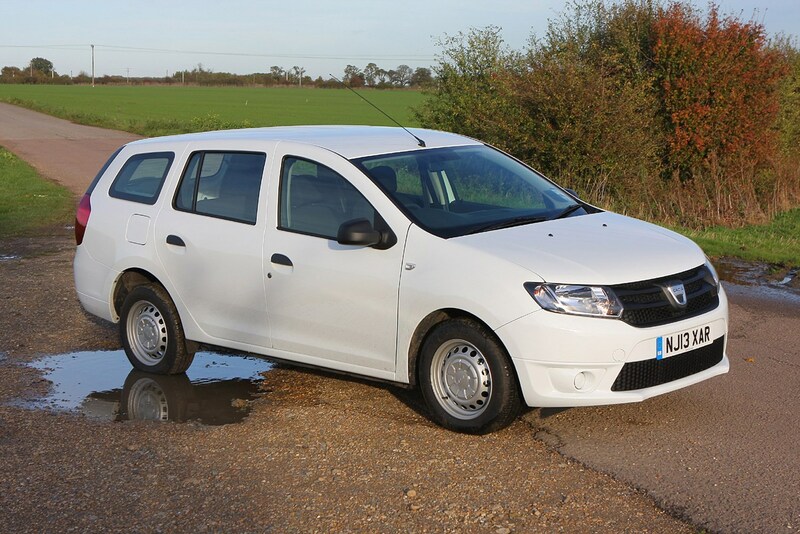 Find out all about the car in our full Dacia Logan MCV review. Joining the small estate car party is the SW (Station Wagon) version of the new Peugeot 308. We’ve been impressed with the 308 hatchback, which offers an elegant, minimalist interior, a comfortable ride and competitive equipment levels for its price. 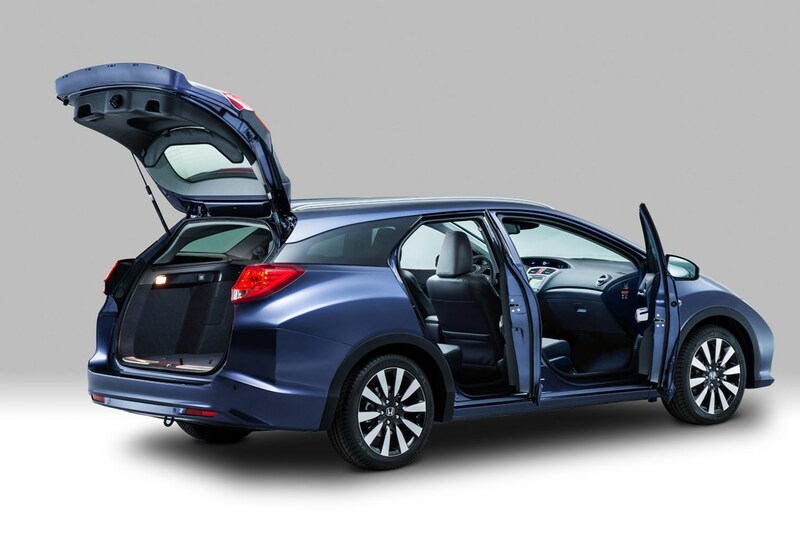 The estate version can boast a boot larger than all the other cars in this list when the rear seats are up and a totally flat floor when they’re folded. There’ll also be a low-emissions BlueHDi diesel variant. 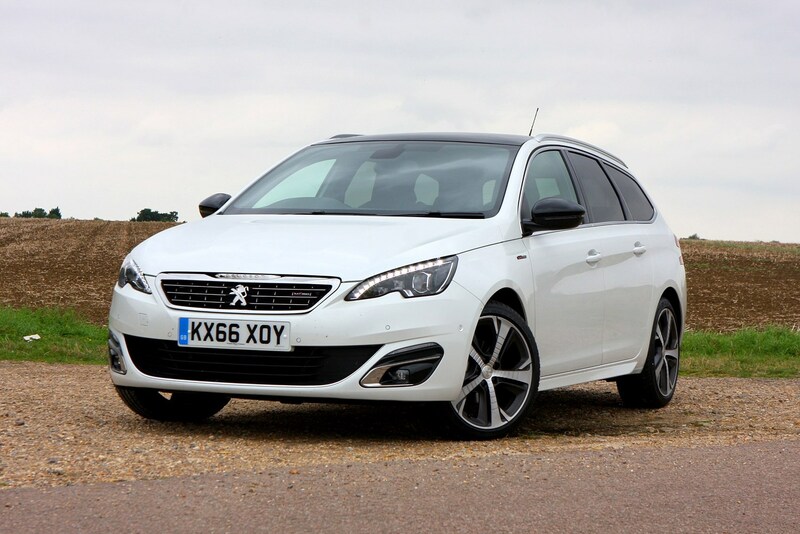 Read more in our Peugeot 308 SW review. After something smaller? Check out our pick of the top five petrol-powered hatchbacks.